The publication of the National Security Strategy and Strategic Defence and Security Review (NSS & SDSR) 2015 is welcomed by MBDA for the recognition it gives to Complex Weapons, and products such as Storm Shadow and Brimstone, as strategic assets offering unrivalled precision and operational advantage. The NSS & SDSR’s continued commitment to Franco-British defence co-operation is of particular strategic importance as both countries move towards closer alignment at an industrial level in Complex Weapons. This beneficial relationship has equipped both countries with the most advanced missile systems in the world and MBDA will continue to work closely will both governments on their future systems. MBDA is also encouraged by the identification of the valuable economic contribution that defence exports make to our national prosperity. 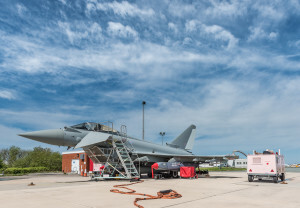 The support of the UK government is a vital factor in securing access to the global defence market and the introduction of cross-government strategies under the direction of the National Security Council, as well as making support for export a core MoD task, can only enhance MBDA’s opportunities in the international market.